There’s never been a better time to turn the dream into metal!! 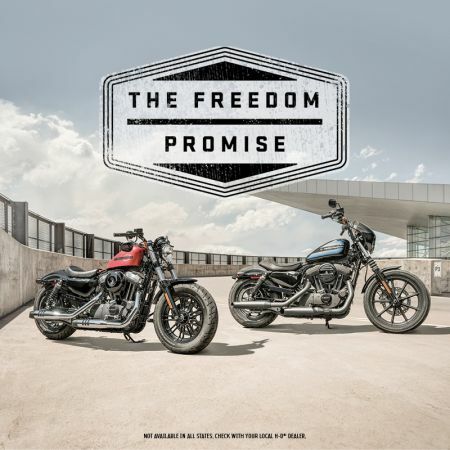 The purchase price you pay on an eligible new or used H-D Sportster® motorcycle is what you get back on trade* within one year of purchase for an eligible new H-D® motorcycle!!! It's simple. Like what you see? Buy a new bike, and we’ll ship it for free! Here is why Redstone Harley-Davidson is Alabama's #1 Superstore!